Stephen is no stranger to gold medals, but usually his prestigious employers are the only ones in the limelight. We offered Stephen some Angel funding to set aside some of his favorites wines and vineyards to make a special range with his name on the label just for us, and he jumped at the opportunity. If you like underdogs, Stephen's your man. He will find the over-looked and under-appreciated and he will take precious care to make sure they grow into big, beautiful wines that deserve more attention. "I have been a winemaker for 37 years and counting! At college I became intrigued by the craftsmanship aspects of winemaking. Knowing that we have 30 or 40 chances in a lifetime to try and get it right. Understanding that we can only control a few aspects of our wines while the rest are given to us new each year. I love starting fresh with every harvest with new grapes, new wine and new hope. That is a shared feeling between myself and the different grape growers that I make wine from their grapes. I really try to make each wine an accurate reflection of what was special with the vineyards that year! Really I try to make honest wines that are easy to appreciate while maintaining varietal integrity for the region they originate from. They are drinking friendly. I’m hoping you really enjoy the wines I have created just for Naked Angels, it has been a fantastic opportunity to create something of my very own and I am proud to share it with you! I am very interested in getting some feedback on the wines, so don’t be shy! Come back and tell me what you think so I can start working on the new vintage with a better idea of what you all like." "Life is too short to drink cheap wine"
Angel since January 2013<br />ArchAngel since ca. February 2013<br />Love Conquers Hate. I live in Southern Oregon wine country with my husband and two cats. We found Naked Wines through my sister-in-law who has been telling me about the "club" for months. We're looking forward to getting our first 1/2 case and checking out the wines. We are into bold and complex reds - Zin, Syrah, Tempranillo and Malbec. I am a computer geek working for a large consumer products company. 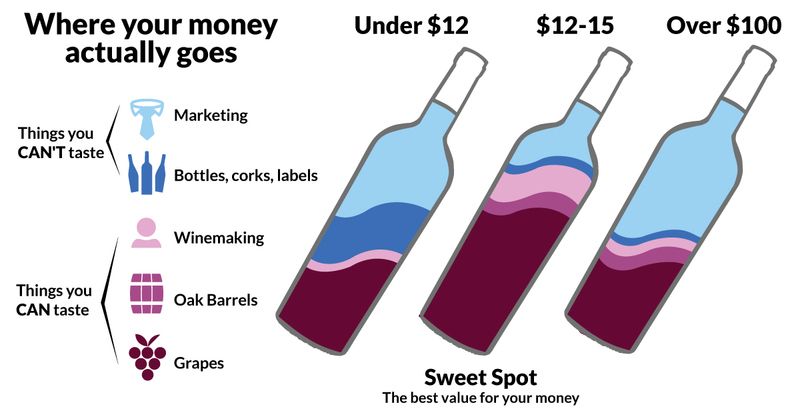 I have always liked wine to a certain extent since I was old enough to drink it (or my parents would let me try it). However, I was seriously bit by the wine bug a number of years ago and began trying everything! I now have a cellar with over 200 bottles (and really shouldn't according to my wife, as I am the only one in the house that likes wine). Of course, it means I need to have more people over to share it with :). Bas vers le haut! Transplant to Florida here. Newly minted pharmacist, wine enthusiast, photographer, and traveler. I LOVE the Naked Wines experience- getting the opportunity to try wonderful new wines on a regular basis is so exciting and enlightening!